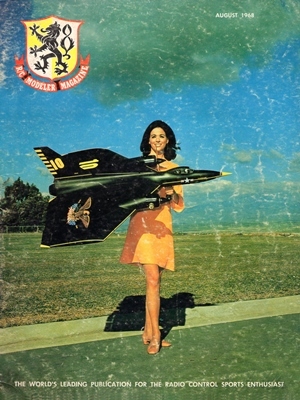 RCModeler September 1968 - RC Bookcase - Vintage Model Airplane Magazines, Catalogs. Are You Going To Send The Kid Into A.
Hobby Like That by Dr. Nino Campana. Pokey by Major Frank Jepson USAF. 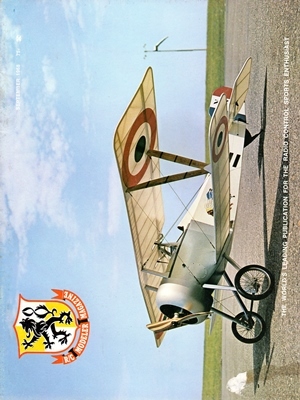 Antique Scale Fokker DVII by Norman Butcher. Tornado 88 by Don Ballreich. Mini Sailer by Ken Willard. RCM Classic Part VI by Ed Thompson. RCM Flight Training Course Part V.
Kits and Pieces by Bernie Murphy. Cunningham on RC by Chuck Cunningham. Top Out by Jerry Kleinburg. 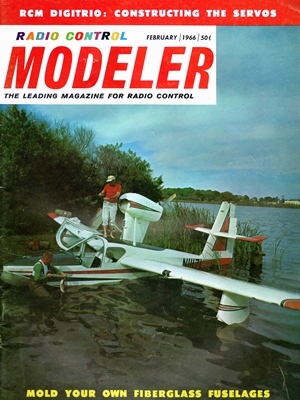 This issue marks the fifth anniversary of RC MODELER MAGAZINE. As with any anniversary we allow ourselves a moment of indulgence in reflection and circumspection. The first RCM in 1963 carried the complete coverage of that years Nationals well ahead of its competitors. By the end of 1963 RCM had pioneered the use of glossy or slick paper in the model press allowing far better photographic reproduction and enhancing the graphic presentation that would be a radical departure from the stereotyped and conventional presentation used for so many years by the model press. In this issue RCM introduces yet another step forward. We hope you will like the introduction of full color photographs to the body of the magazine. This first use of full color from transparencies actually submitted by modelers with their construction articles is somewhat experimental. We recently changed the entire printing process of this publication in order that we could add more versatility to the graphic presentation of the magazine. The use of full color is a very costly process and will be somewhat limited until it is supported by full color advertising. This will be an additional boon for the advertiser since a limited number of full color advertisements in a primarily two color magazine will certainly draw your attention to those advertisements. This is the first step in a program to upgrade the publication to a point where full color can be used throughout the magazine. Since its modest introduction 5 years ago RCM is now the most widely read..